The safety and security of their students and staff was a growing concern for the Stonington Public School District, located in the New England town of Pawcatuck, Connecticut. With the mechanical lock and key systems they had in place, there was no effective way to control and audit access to their buildings. They needed accountability so that when incidents occurred they would know who was there and when they were there. Ken Donovan, the school district’s Facility Manager, began researching available access control technology. When the high school principal had some security issues and asked for a solution, Donovan had the answer. The Stonington School District chose CyberLock because it offered quick access control and was financially feasible to install. No wiring was needed to the doors and the CyberLock electronic cylinders fit into the existing mechanical lock hardware. 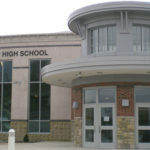 Working within their budget, they began with the high school and, since then, two middle schools, the elementary school, and the administration building have been upgraded to CyberLock. “CyberLock gives us electronic access control for under $300 per door,” says Donovan. Stonington has taken advantage of the system’s flexibility. The Library Media Center’s computer carts are secured by CyberLock electronic padlocks and a CyberLock cylinder in a cafeteria vending machine has eliminated theft problems. They could not drill through their fire-rated doors or modify the jams without violating the fire code. “CyberLock brought affordable access control to our fire-doors just by changing out the lock cores. This was a huge cost savings over a wired-in system,” says Donovan. “With CyberLock, we have gained electronic access control at the door and an audit trail that has been very beneficial in tracking traffic to our buildings,” says Donovan. The staff and parents have welcomed the steps the school district has taken. “CyberLock has helped us insure the safety and security of our students. It’s given our teachers peace of mind as well,” affirms Donovan. Click here to learn more about CyberLock applications for Schools. "With CyberLock, we have gained electronic access control at the door and an audit trail that has been very beneficial in tracking traffic to our buildings."